Results of two new studies recently published in The Lancet show that two new pill-only antiviral drug regimens for hepatitis C could provide shorter and more effective treatment options with fewer side effects for most patients. Both studies addressed hepatitis C genotype 1, which is not only the most common genotype in the USA, Europe, North Asia, Australia, and South America, but also one of the most difficult to treat. Chronic hepatitis C virus (HCV) infection affects about 150 million people around the world. This condition is a leading cause of liver cirrhosis and liver cancer. The number of people with HCV-related liver failure and liver cancer are expected to treble by 2030 in the USA, due to low treatment rates. The standard treatment for chronic HCV genotype 1 involved, until recently, a combination of three drugs: ribavirin (RBV), pegylated interferon (PEG) and a protease inhibitor. Used in association, these three drugs inhibit viral replication and increase the body’s immune response in order to eradicate the virus. However, a substantial burden can be placed on the patient, who has to deal with complicated injection and pill regimens, involving up to 18 tablets a day and lasting for up to a year. It and can also cause severe side effects, which may include anemia and depression. Providing new treatment opportunities, direct-acting antiviral agents (DAAs) reduce the need for interferon and ribavirin and, consequently, their potential side effects. 645 patients with HCV genotype 1b from 18 countries have been assigned for the HALLMARK-DUAL phase 3 study. 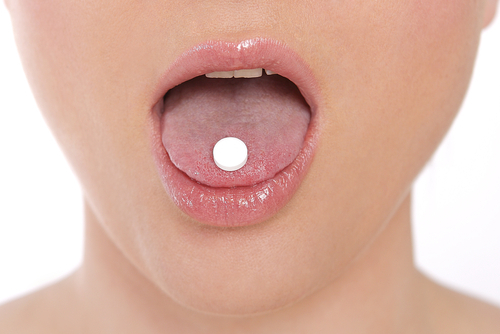 Led by Professor Michael Manns from Hannover Medical School in Germany and colleagues, the study consisted of a 6-month course of treatment with a pair of oral DAAs asunaprevir and daclatasvir. A further 102 treatment-naïve patients formed a placebo control group. The team has come to the conclusion that the regimen was highly effective at clearing the virus and it was also well tolerated even in traditionally hard to treat patients. 90% of previously untreated patients and 82% who were intolerant to standard regimes, or who had been unsuccessfully treated with those, were cured. Characteristics such as gender, age, ethnic or having advanced liver disease generated no differences in response, at least none recognized as predictors of poor response to treatment. According to Professor Manns, “The efficacy and safety of 24 weeks of daclatasvir plus asunaprevir represents a huge improvement on the first generation of protease inhibitor based triple therapies for HCV genotype 1b infection (up to 48 weeks of boceprevir or telaprevir in combination with PEG/RBV). This new all-oral interferon and ribavirin-free combination could provide a more effective, safer, shorter, and simpler treatment option for those traditionally hard-to-cure patients with cirrhosis or those who have failed to respond to existing therapies,” he said, according to an article on Science Codex. US and European researchers led by Professor Eric Lawitz from the Texas Liver Institute at the University of Texas Health Science Center in San Antonio, Texas, performed the COSMOS study, which included a team of US and European researchers led by Professor Eric Lawitz from the Texas Liver Institute, University of Texas Health Science Center in San Antonio, USA, randomly assigned 167 individuals with HCV genotype 1a and 1b to receive a 12-week or 24-week course of once-daily sofosbuvir plus simeprevir with or without ribavirin. After only 12 weeks of treatment without ribavirin, 93% of participants, including patients with cirrhosis and previously non-responders to interferon-based treatment were cured, with no detectable virus in their blood 3 months after treatment had stopped. No clear benefit could be seen from either extending treatment to 24 weeks or adding ribavirin. 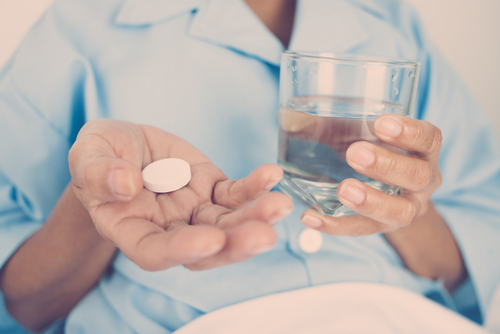 With less than 2% of participants reporting serious adverse events or discontinuing treatment due to an adverse event, the 12-week sofosbuvir plus simeprevir regimen was well tolerated.